A beautiful personalised compact mirror gift with your special engraved message on the back. A stunning and unique engraved gift for ladies. 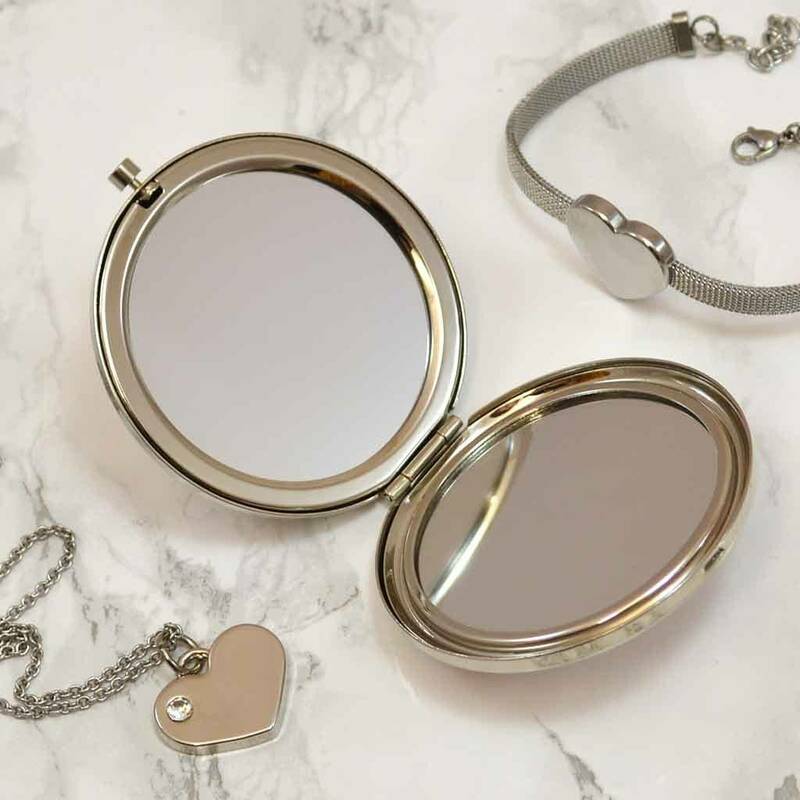 This gorgeous silver coloured engraved compact mirror has a normal mirror and a magnifying mirror. 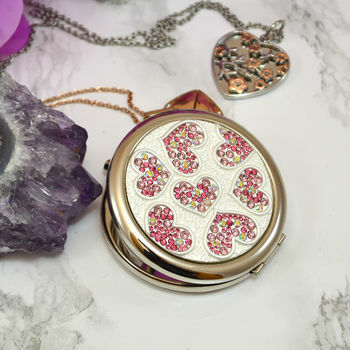 The lid of your compact mirror is set in a beautiful design of hearts with coloured crystals in different shades ranging from clear to red. 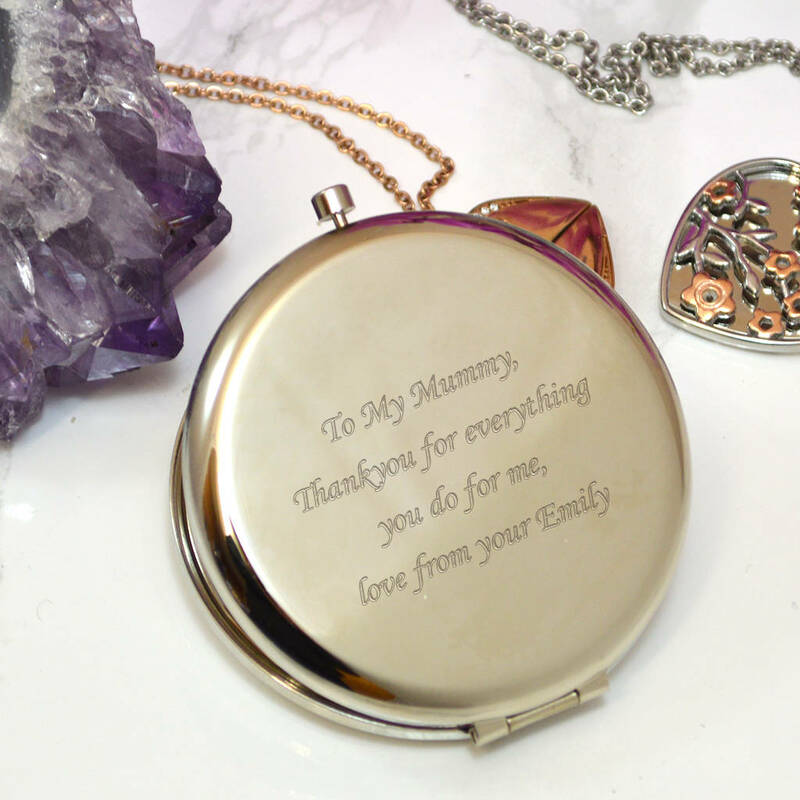 The back of your compact mirror is engraved with your special message to make a wonderful unique gift for any occasion. Once engraved your compact mirror gift comes in a presentation box with internal foam cut out to make is easy to wrap or present. All of our personalised gifts for women are engraved in house, so if you have a question of a special request, please get in touch and we will be happy to help. Why not also purchase a greetings card for a little extra to advise the gift recipient who the engraved compact mirror gift is from? If you wish to choose this option, a bespoke, full colour, standard A5 sized card, folded in half and printed with your message on one of the inner sides can be chosen in the personalisation fields. Your card will be sent in a white envelope with your gift. 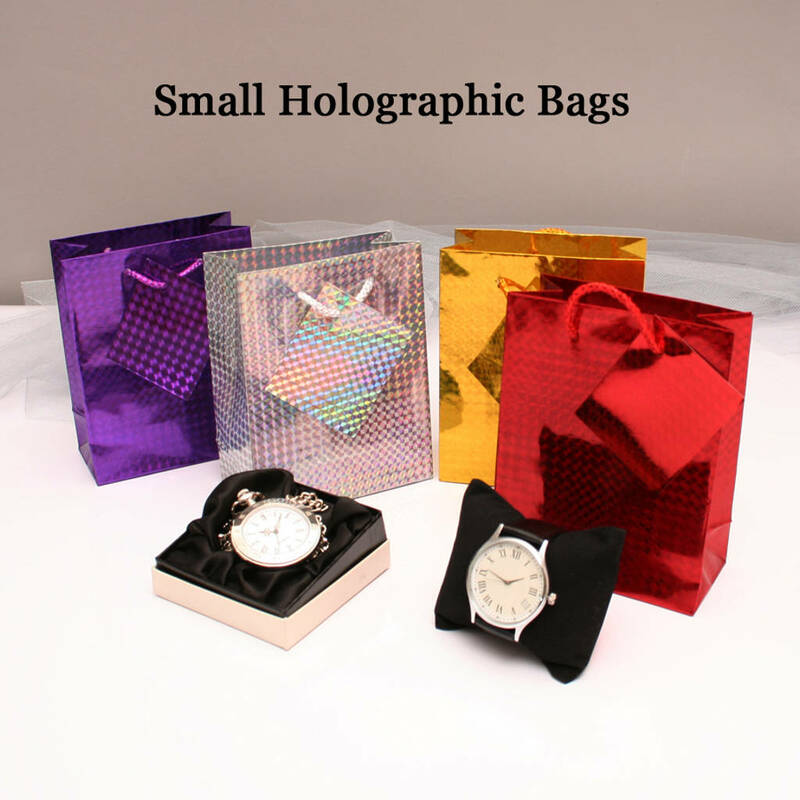 You could also include a holographic gift bag for your personalised compact mirror gift in silver, red gold or purple. If you require this option then just choose the colour you prefer in the dropdown box provided.